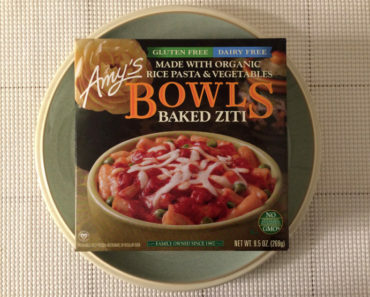 Amy’s Kitchen Swirls aren’t exactly a freezer meal; they’re more like a frozen snack. 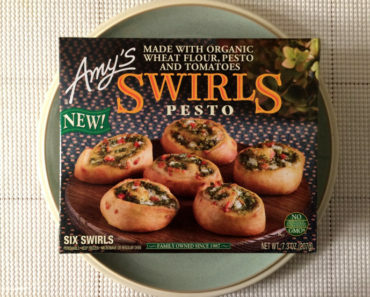 Still, we’ve been enjoying all of the swirls that we’ve tried. 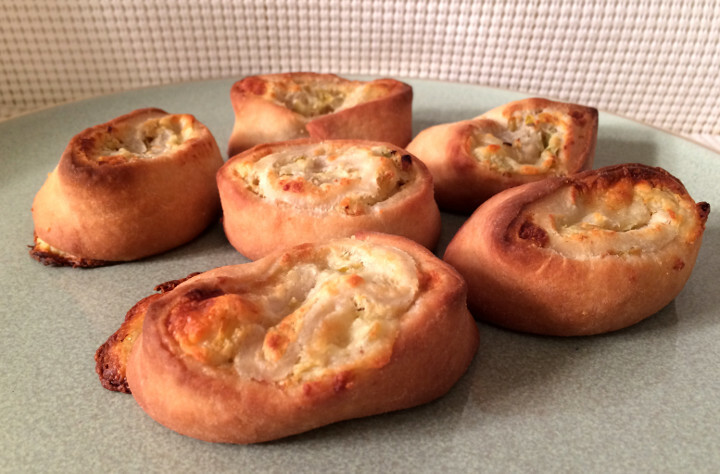 The soft dough and flavorful fillings combine to create a very appetizing treat. 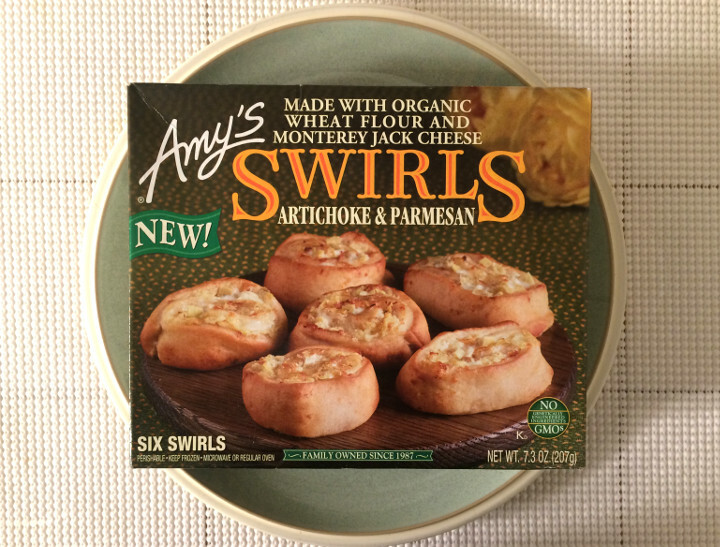 The Artichoke & Parmesan Swirls aren’t the best swirl flavor we’ve sampled (for our money, the Mushroom & Cheese Swirls are the best snack in the Amy’s Kitchen lineup), but this is still a fairly interesting flavor combination. 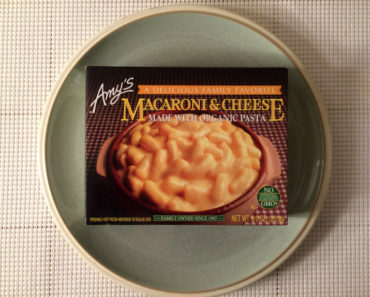 While neither the artichoke or the Parmesan cheese stands out, this is a near-perfect blending of flavors. 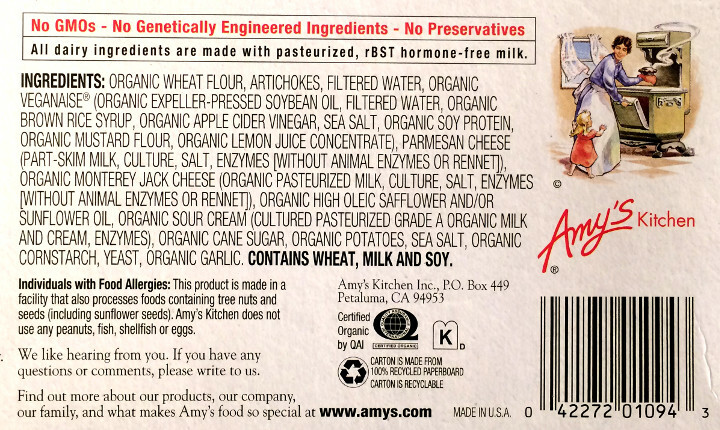 There are a few subtler ingredients as well, like apple cider vinegar and organic sour cream. The resulting mix is delicious and creamy. 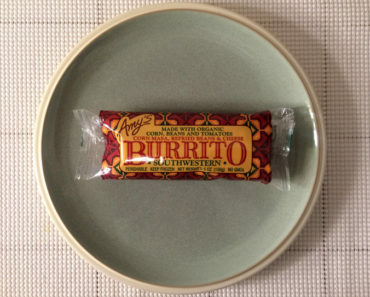 Because this flavor is a little more subtle, it could easily be combined with something else. If you wanted to enjoy these swirls with some kind of dip — or even some olive oil — you should be able to do so. 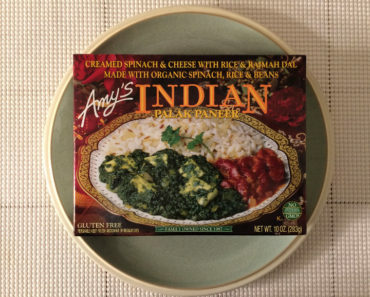 If you prefer milder flavors, this may be the swirl you’ve been looking for. If you prefer something with more of a punch, try one of the other swirl flavors instead. 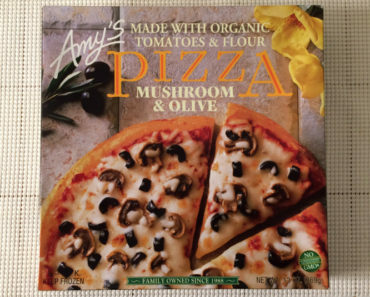 As long as you stick with Amy’s, you should be happy with whatever you choose.